Many people in the United States receive their water from private ground water wells. The EPA regulations that protect public drinking water systems do not apply to privately owned wells. As a result, owners of private wells are responsible for ensuring that their water is safe from contaminants. When rain falls, much of it is absorbed into the ground. Water that’s not used by plants moves downward through pores and spaces in the rock until it reaches a dense layer of rock. The water trapped below the ground in the pores and spaces above the dense rock barrier is called ground water, and this is the water we get when we drill wells. 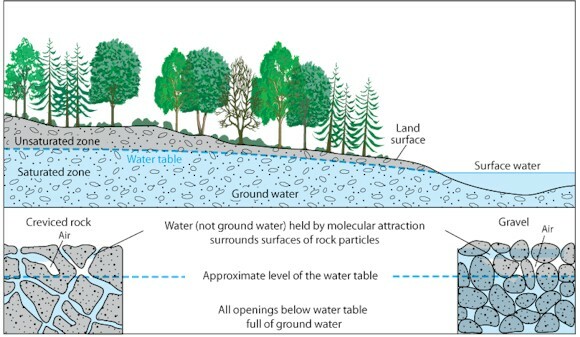 Another common term for ground water is "aquifer" or "ground water aquifer." Over 15 million U.S. households regularly depend on private ground water wells. All private wells use ground water. Over 15 million U.S. households rely on private, household wells for drinking water. If polluted ground water is consumed, it could cause illness. Ground water pollution can be caused by seepage through landfills, failed septic tanks, underground fuel tanks, fertilizers and pesticides, and runoff from urban areas. It is important that private ground water wells are checked regularly to ensure that the water is safe for drinking. We use the El Paso County water labs to analyze well water samples to ensure that the water coming out of your taps is safe for you and your family to drink.